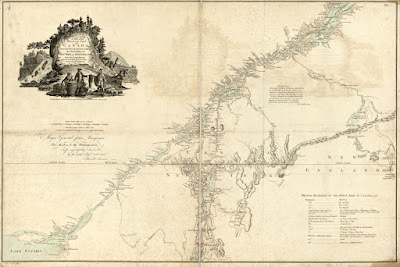 Cartouche from "A Map of the Inhabited Part of Canada from the French Surveys, with the Frontiers of New York and New England," William Faden, 1777, Library of Congress. 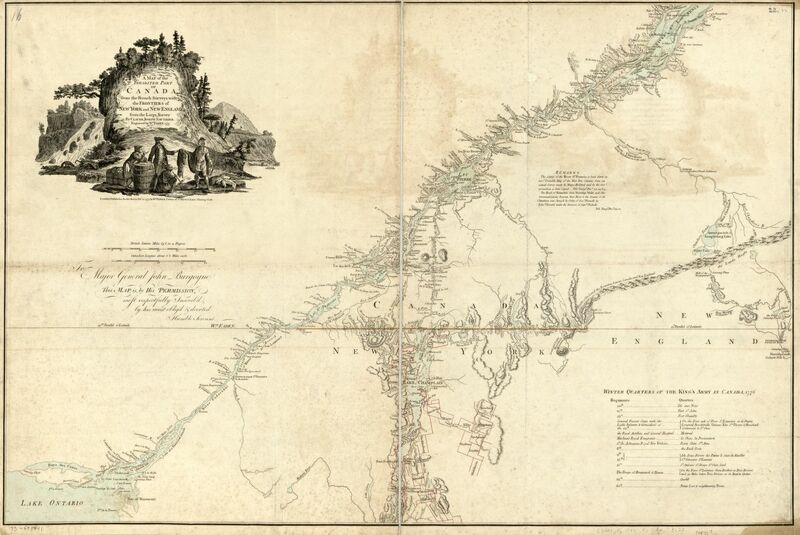 Throughout the American War of Independence, people in Britain followed the war through maps. There was no campaign more important in 1777 than Burgoyne's ill fated attempt to drive through the rebellious colonies from Canada. Armed with a map like this, the public could do their best to make sense of the newspapers and rumors that filtered across the Atlantic. 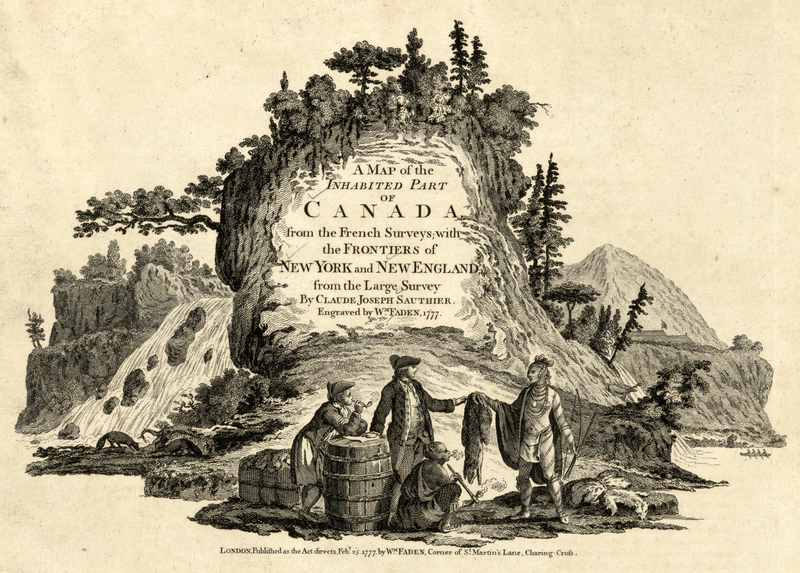 In the upper left corner of the map is a fanciful cartouche depicting two native people trading furs to a man in a suit, and a sailor who leans across a barrel. Our jack's cocked hat is plain without lace or button, and point forward. His close cut hair hangs just above his long white neckcloth, which is tied not unlike a cravat. This mariner's jacket ends just at the waist, and is without pockets or cuffs, but is fitted with cloth covered buttons. He does not wear a waistcoat. Hanging down to his knees are a pair of petticoat trousers/slops, which are just above the pair of white stockings he sports. 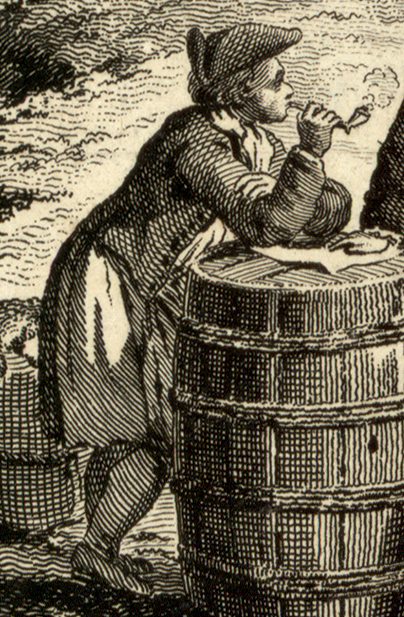 And like any good tarpawlin, he puffs at a clay pipe. Thanks, Roy! I do my best.